The ladies of f(x) has definitely made a comeback hotter than the “hot summer” itself (take this as a pun). Their eccentricities are highlighted even more in their recent summer hit, “Electric Shock”, with which they mark the start of this year’s summer extravaganza of hot K-pop music. SM has once again drilled another catchy song into my head that I have been both consciously and subconsciously humming to. 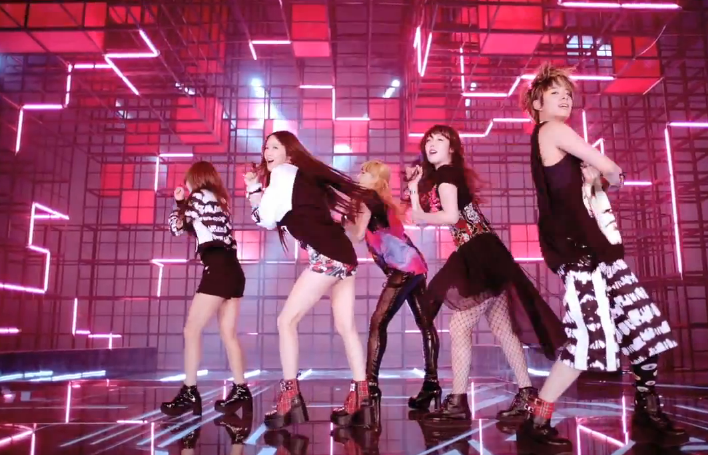 However, what I was most drawn to was of course the bold and fun dress code which the girls flaunt in their music video. The fashion in this M/V is all street style taken up a notch, which reminds me greatly of 2NE1’s “Ugly” in some ways, as they are both great girl bands distinctive from the cutesy girl-group scene. What I love so much about their attire is the incorporation of color in every aspect of their outfit and makeup. They displayed the versatility and excitement of summer fashion through Krystal’s (center) combination of colored skinny jeans and tie dye shirts; Amber’s (far right) boyish charms “electrified” through spicing up a dull graphic t-shirt with a bold colored jean; or just being crazy with a colorfully bizarre shirt like Luna (far left) which summarizes the overall hype of summer. Other outfits through out the M/V are just as bold and easy to emulate, most notably Krystal, Victoria, and Amber in the opening sequence and Luna’s in the white room. Victoria’s outfit is another of my favorite in the M/V. It’s feminine, which suits her very well, yet it goes with the overarching theme of the M/V which displays the boldness and eccentricities of the girls. Her shirt reminds me of the Christopher Kane’s galaxy print shirts, yet upon closer look, it’s a simple oversized shirt with splashes of pinks and oranges and purples. The only downside would be the uncomfortable leather pants she dons, which I would recommend to wear any form of black tights or jeggings if you’re trying this outfit out. Her studded necklace ties the entire outfit together, giving a minimal yet just the right amount of edge to the attire. On a side note, Amber’s outfit really really really reminds me of 2NE1’s Dara’s outfit in “Ugly”. I can’t really decide who wore it best, but on Amber, it matches with her tomboy image, and on Dara, it adds an edge to her petite figure and more artsy (?) in a way. Anyways, back to f(x). 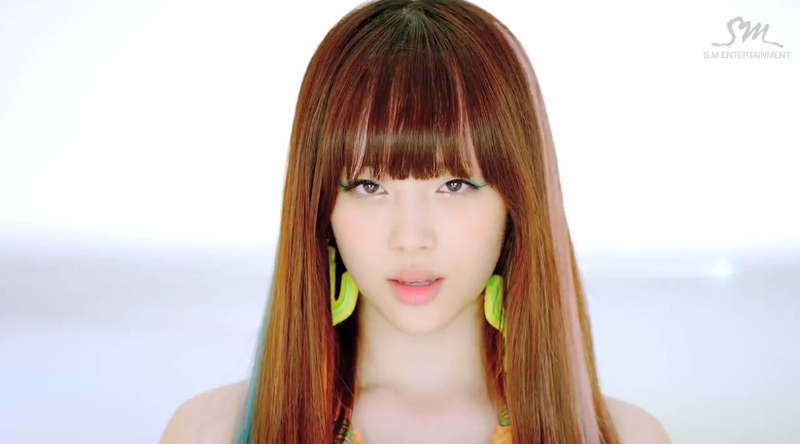 I realized I didn’t really talk about Sulli in this post. I didn’t really like Sulli’s outfits in the M/V, as they were somewhat impractical and I just don’t really like the girliness which creeps out too much in her outfits. However, I really liked her multi-colored hair extensions which boasted loud colors like pink and turquoise, as well as a hint of green at the roots of her bang (very unique!). Love it! 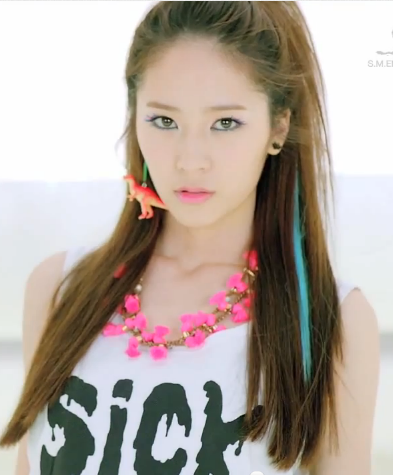 Krystal also had a streak of baby blue in her hair in the close up shots of her in the M/V, which really prompts me to try to get for this summer. 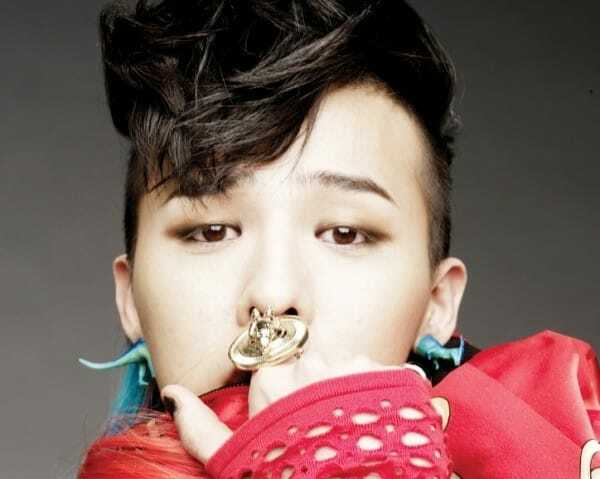 I also can’t help but oggle over the dinosaur earrings she has on…which I have also seen on G-dragon in their recent Still Alive album promotion pictures…+1000000 points to f(x)’s stylists. Dinosaurs makes everything that much more awesome. All in all, f(x) did not disappoint with their recent single “Electric Shock”, proving again their abilities to glam up street style in a fun and summery way that is not hard to emulate. Hope you have enjoyed this as much as I did, and have fun!